Charles I came to the throne in 1625 after the death of his father, James I. Like his father, he believed in the Divine Right of Kings. Although only parliament could pass laws and grant money for war, because they refused to do as he wished, Charles chose to rule without them. Charles made repeated mistakes throughout his reign that took the country into Civil War and ultimately led to his death on January 30th 1649. In the first year of his reign, Charles married Princess Henrietta Maria of France, a Catholic. Parliament were concerned about the marriage because they did not want to see a return to Catholicism and they believed that a Catholic Queen would raise their children to the Catholic faith. Instead of listening to the advice of his Parliament, Charles chose the Duke of Buckingham as his main advisor. Parliament disliked Buckingham and resented his level of power over the King. In 1623 he had been responsible for taking England to war with Spain and parliament used this to bring a charge of treason against him. However, the King dismissed parliament in order to save his favourite. In 1627, Buckingham led a campaign into France which saw the English army badly defeated. In 1628, while preparing for a naval invasion of France, Buckingham was assassinated. The monarch’s income was paid out of customs duties and when a new King or Queen came to the throne parliament voted for their income to be paid for life. In Charles I’s case, though, it was only granted for one year. The members of parliament wanted to make sure that Charles did not dismiss them. Their plan did not work, Charles chose to rule alone and found his own way of getting money. It had always been the custom that in times of war, people living on the coast, would pay extra taxes for the defence of the coastline by naval ships. In 1634, Charles decided that ‘ship money’ should be paid all the time. One year later he demanded that people living inland should also pay ‘ship money’. The people were not pleased and a man named John Hampden refused to pay the tax until it had been agreed by parliament. The case went to court and the judge found Charles’ actions to be legal. The people had no choice but to pay. In 1639, Charles needed an army to go to Scotland to force the Scots to use the English Prayer book. A new tax was introduced to pay for the army. People now had to pay two taxes and many simply refused. Many of those jailed for not paying the taxes were released by sympathetic jailors. By 1639 most of the population was against Charles. ‘Ship Money’ was made illegal in 1641. The Protestants had been upset by Charles’ marriage to Catholic Henrietta Maria of France. They were even more upset when Charles, together with Archbishop Laud, began making changes to the Church of England. It was ordered that churches be decorated once again and that sermons should not be just confined to the Bible. A new English Prayer Book was introduced in 1637. Charles also demanded that the new English Prayer Book be used in Scottish Churches. This was a very big mistake. The Scots were more anti-Catholic than the English and many of them were Puritans. There were riots in Scotland against the new service and Charles was forced to raise an army to fight against the Scots. The English army was defeated by the Scots and Charles foolishly agreed to pay Scotland ?850 per day until the matter was settled. Money he did not have! The Irish Catholics were fed up with being ruled by English Protestants who had been given land in Ireland by James I. In 1641, news reached London that the Catholics were revolting. As the news travelled it was exaggerated and Londoners learned that 20,000 Protestants had been murdered. Rumours spread that Charles was behind the rebellion in a bid to make the whole of the United Kingdom Catholic. 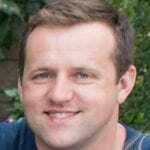 An army had to be sent to Ireland to put the rebellion down but who was to control the army. Parliament was worried that if Charles had control of the army he would use it to regain control over Parliament. In the same way, if Parliament controlled the army they would use it to control the King. It was a stalemate. One of Charles I’s major mistakes was that he was unable to gain the co-operation of his parliament. His determined belief in the Divine Right of Kings led to his dismissing parliament in 1629 and ruling without them. The fact that he did not have a parliament to grant him money meant that he had to tax his people heavier and introduce unpleasant taxes such as ship money (see above). 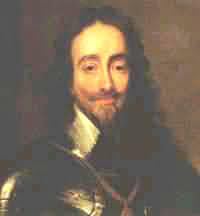 It was only when Charles needed an army to fight against Scotland that he was forced to recall parliament in 1640. This parliament remained in office for so many years that it is known as the Long Parliament. Having been dismissed from office for eleven years, this parliament was determined to make the most of being recalled and Charles’ favourite, Thomas Wentworth, Earl of Strafford, of treason. Strafford was executed in May 1641. 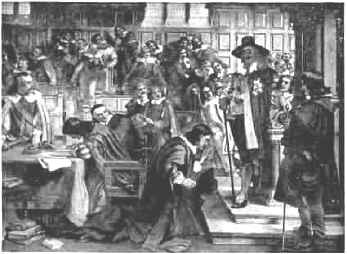 In November 1641, parliament presented the King with a list of complaints called the Grand Remonstrance that asked for the power of bishops to be reduced and for Charles’ councillors to be men trusted by parliament. Not all members of parliament were in favour of it and it was only passed by 159 votes to 148. In January 1642 Charles made what was the most foolish move of his reign. He burst into the Houses of Parliament with 400 soldiers and demanded that the five leading MPs be arrested. The five MPs had had advance warning and had fled. In June 1642 the Long Parliament passed a new set of demands called the Nineteen Proposals that called for the King’s powers to be greatly reduced and a greater control of government to be given to parliament. This move divided parliament between those who supported the Nineteen Proposals and those who thought parliament had gone too far. Both Parliament and Charles began collecting together their own armies. War was inevitable. People were forced to choose sides and on 22nd August 1642, the King raised his standard at Nottingham.